I know - that title is a little bit of an exaggeration, but all my fellow beauty addicts can relate I'm sure. *wink* Both palettes were new brands to me, as I have not tried much from either Lorac or Mark. but I can say that I certainly will try more in the future. Though these palettes may seem similar to each other to an average person (i.e. my husband who said to me "those look identical, why are you going to put them both in a post?" Ugh, mind your business), but to our trained beauty-loving eye, we can all see how different they are from one another. One palette is a bit more warm and rosy, while the other features more gray and taupe based shadows. See? Validation for needing both. 1. Lorac Unzipped Palette - Calling all rosy-neutral fans!! This is for you. I can't say I always gravitate towards a pinky based gold or brown, but I was surprised how well these wore on my skin tone. I was afraid they would come out too orange, but I was happy to see more of a bronzed-golden look to most of the shadows when worn. Most have shimmer except for the palest and deepest shades, but the kind of shimmer that you want to wear. No disco ball eyelids here. The texture is creamier than I anticipated and I felt the colors blended beautifully. I found that the first 6 shades of the collection wore well as lid colors while the last 4 (top two and bottom two on the right of the palette) were better for crease and liner colors. And the best part? It comes with a mini eye primer sample which was just what I needed when I travel. 2. Mark. On The Dot Neutral Eye Color Compact - First things first - how cute is this palette??!!! MEEP! The shape and size of the shadows remind me of those candy dots and candy makes me happy, ergo this palette makes me happy. The minute I unboxed this after Mark. sent it over, I rushed to the bathroom to play with it. The colors are simply perfect! The taupes, gray-browns and plums are just the sort of shades I prefer to wear most days. The pigmentation strikes that happy balance between not too rich and not too sheer, which to be honest is my ideal shadow formulation. While my initial reaction with super pigmented shadows is always "WOW! ", I then realize I find myself working harder to blend them down so I can wear them during the day. Here it was easy to apply my desired amount of color with only a few strokes and little to no blending. And the fact that this palette fits in the palm of my hand makes it a no-brainer for travel, overnight trips and makeup bag status. I just received this a few weeks ago and I'm already making predictions that I will hit pan on it. And is there any greater honor for a makeup product? I think not. What are some of your favorite neutral eye palettes? 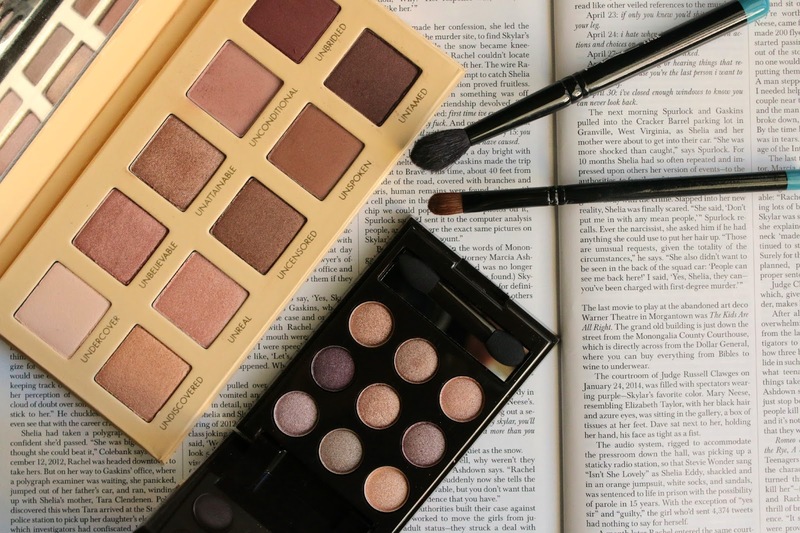 Lorac has some really amazing palettes, I'm obsessed with them! Great post, love your sense of humour, I'll definitely be following you.